You know I love you, I love you so much…it’s just, I feel neglected. You don’t always acknowledge me. You think what I’m telling you is a whim, unimportant, an indulgence to pursue. You don’t give me credit for all that I am and all that I can do for you. The person that you could really be, if you just stopped putting everything before me. I know I don’t really talk to you much like this. I know what I normally give you is quiet little inklings and, by comparison, that makes it easier to listen to the roar that is your inner critic. But just know that whatever the inner critic might throw at you, I’m always still here. Know that even when you ignore me for days, weeks, months, even years I am still always here. And though this relationship is a little one sided, with you picking me up and dropping me, without ever showing me the appreciation that I truly deserve for being the amazing force within you, I love you anyways and always…..unconditionally. And I am here, waiting & ready when you are. 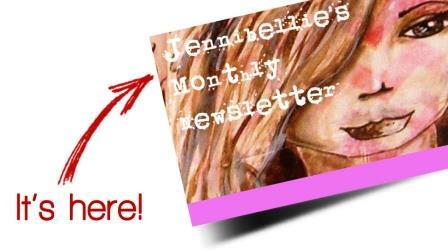 PS You can sign up for my newsletter if you are not already on the list HERE & you will receive tons of free goodies immediately, woohoooowooooo!! For a few days I’ve wanted to write you, but as you may or may not know I’ve been out of my usual making stuff cycle due to personal circumstances and so didn’t feel like I wanted to until I had something of value to offer (plus I think there was a little resistance there…more on that later). So for about 6 weeks I’ve been immersed in...I’m not exactly sure what yet. Some new interests (I started gaming, whhhhaaaaattt?? ), a little re-evaluating, lots of tasty food, plenty of shopping for beads and new arm candy and not much art. Like any. At all. This came as a shock to me because any time tragedy has struck in my life art has always been my go to. It has been both my processing, and my escaping mechanism, for at least the past eight years. This time felt a lot different and while the inner critics were nagging at me a little for ‘being lazy’, ‘wasting time’ etc etc I know myself well enough now to know when I am in resistance and when I just need a break. When I need a break I give myself that space, I explore other things such as those listed above. When I am in resistance (like sending this email) I MAKE myself come out of it, which may sound harsh (especially for the usual Jennibellie-style philosophy & teachings) but that is in fact sometimes the kindest thing you can do for yourself. Because only then do you get to remember who you really are. You get to breathe in air again. You get to reacquaint yourself with that quiet inner satisfaction of having created something once more. You get feel your wholeness. A few days ago I felt the need for taking a break turn into resistance. It’s a subtle shift, but if you honestly check in with yourself the truth of whether you are in *real* need of a break or in resistance will always show itself. I looked a little deeper; I found the cause of my resistance was in the idea of ‘having’ to get back in the saddle. So I made myself just sit in my studio chair, something I hadn’t done in over a month. I wasn’t intending to do anything, just be there. 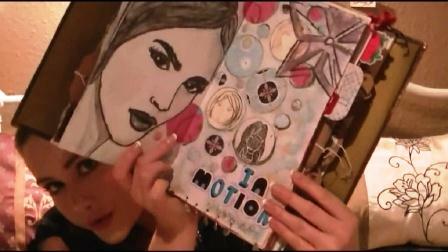 Then I made myself pull out my journal and do some written journaling. It’s not that hard, I could manage that at least couldn’t I? It took TWO LINES of feeling pretty crap about not art journaling/painting/creating and woe is me before I said ‘F*** this’ and I got the paints out. Literally I shall let you read my diary entry of that encounter if you like by placing a picture of the completed page below. Don’t wait for the flood! Sometimes when we take time away from our creativity our muse can tap us on the shoulder and out of the blue and give us a million projects and ideas we want to immediately get started on. How nice! BUT, it is not always how things work, and I see many people waiting for this to happen in order to get them creating again. The result is streams of emails I get from people telling me they ‘haven’t created in over a year’, ‘two years’ and once even ‘six years’. Waiting for the call of the angels and the flood of inspiration to wash in is a very romantic notion. It sounds so lovely, BUT when it actually stops us from creating then I think we are a little too attached to this pretty, but impractical image of creativity. Sometimes you HAVE to MAKE yourself. I think this is too important to be said only once, SOMETIMES YOU HAVE TO MAKE YOURSELF. You. Just. Do! But again this doesn’t have to be harsh. It can be as easy as sitting in a chair. Then doing a little journaling. It can be as easy as taking steps 1-2-3, rather than jumping to 50 straight away. It can be as easy as coaxing, cajoling, caressing your scared self back into the vicinity of inspiration…and then allowing the teeniest, tiniest spark of it to direct you. Inspiration does not always come in an overwhelming flood of excitement. It can come through the slightest crack in the door…but you have to be willing to take a deep breath, grab that door handle and ever so slightly, open it up! If you are feeling yourself in resistance then I have a treat for you. 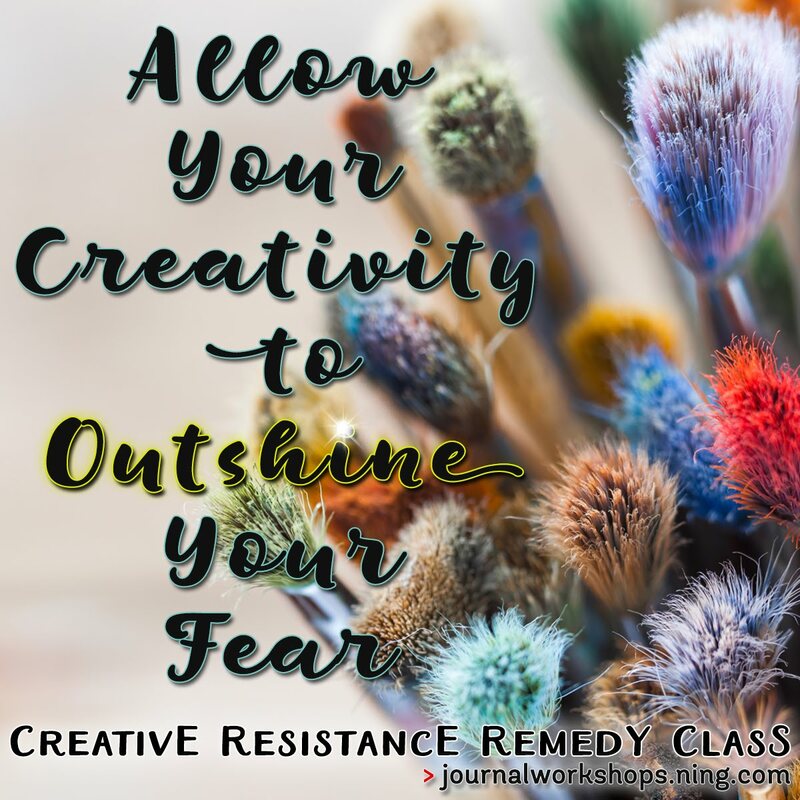 I have made my Creative Resistance Remedy Workshop HALF PRICE for the New Year. This price is even cheaper than when I launched it at the Early Bird Price & was originally just for the first week of this New Year but as I have not been actively posting/emailing about it I have decided to extend it for you. 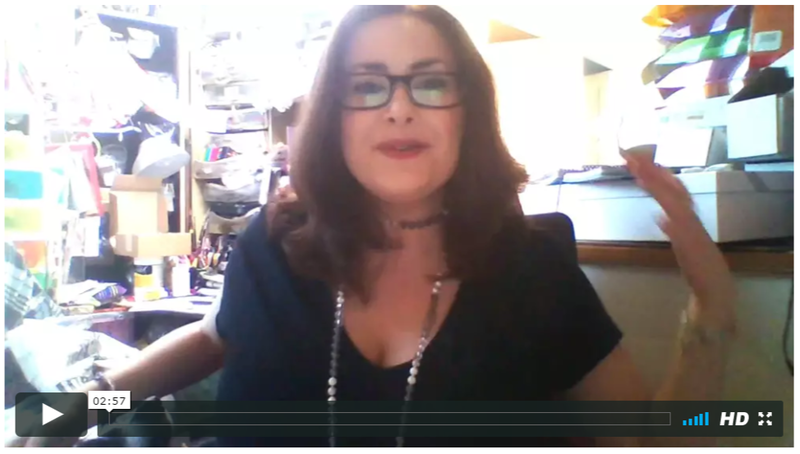 In truth if you want to know the exact HOW I made myself sit down and write this email then the exact trick I used is shared in this course (which now I have written it I feel pretty amazing actually, surprise surprise…NOT! lol). This workshop is a perfect New Years workshop to take as it is for those of you that are ready to make your creativity more important than your resistance, your comparison, your procrastination, your perfectionism, your analysis paralysis and all your critics and create your projects already! It doesn’t matter if you’ve got a busy day. It doesn’t matter if people are relying on you, and you are the ONLY person in the whole wide world who can do this specific thing for them. It doesn’t matter if you’ve got better things to be doing. If you need to make art today *DO IT*. That’s just society’s echo of ‘sacrifice is what makes you a decent person’ ringing in your ears. You can leave that voice somewhere else…preferably the garbage bin. You can find five minutes. Hell you’ve found five minutes for blog hopping haven’t you? Yeah I am calling you out on all the levels right now. Because you deserve the break. TAKE THE TIME to create for yourself today. So stop the excuses and stop the procrastinating, go and make your shizzle. 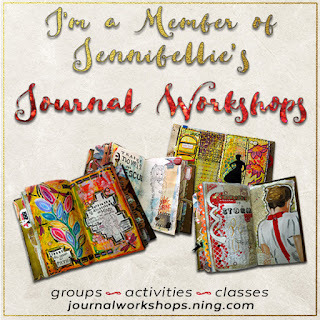 I have a BRAND NEW Journal Making Class Now OPEN!! Whoop Whoop! 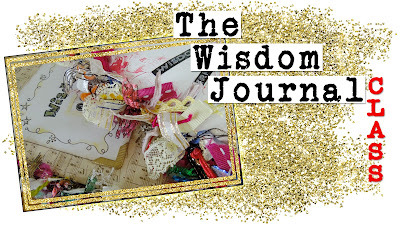 The Wisdom Journal is about making your own survival guidebook of your own personal wisdoms. 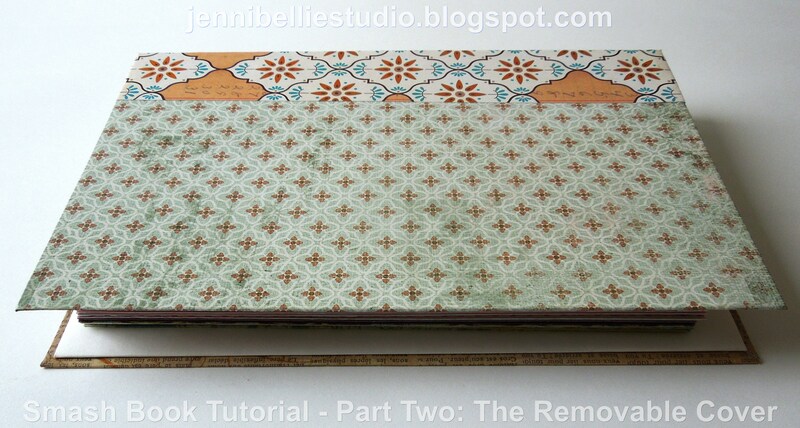 *Make a Unique Journal - including creating pockets, decorating background papers before binding, crafting a decorative spine, adding a closure etc. 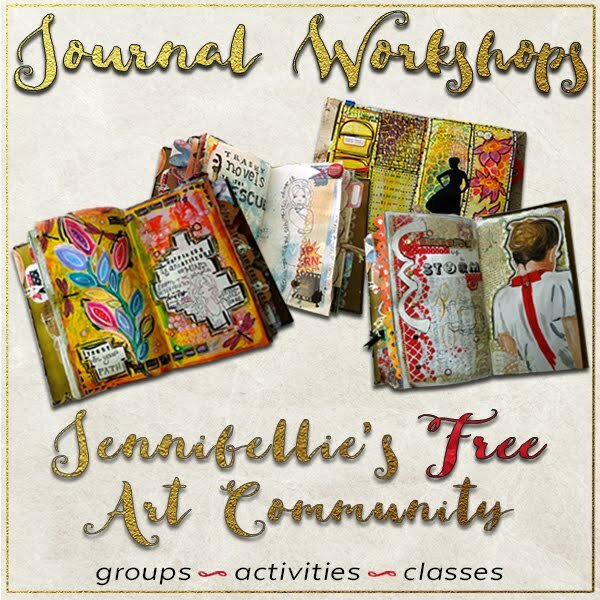 *Art Journal – once we have done the work around finding/making our wisdoms we shall art them out in our fancy new handmade journal. *Apply Our Wisdoms – we will look at how we can consciously apply our wisdoms in our life. This class is not about locking knowledge away in a book never to be seen again, it is about bringing awareness to light to use …and as a result create our own fabulously customised survival book to have forevermore and use as a tool. Registration is open now for a CRAZY Low Early Bird Price. 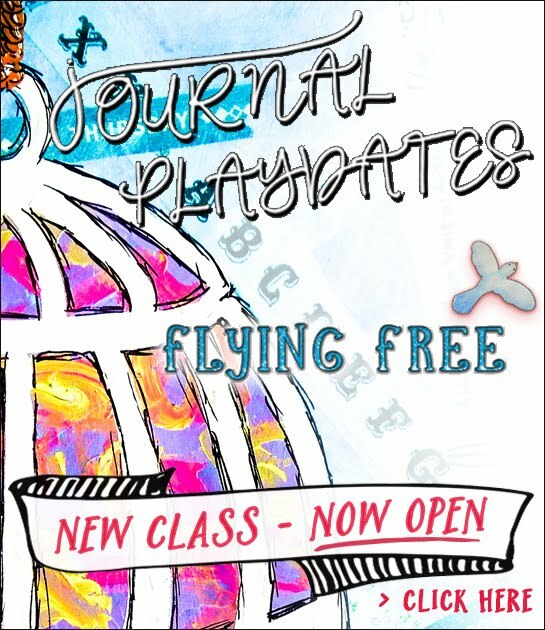 PPS This new class like all my classes are hosted on my art community Journal Workshops, you can sign up now for free and browse all the classes I have on offer if you wish, or even take a free one! I have recently discovered something about creativity. Through observing my own patterns of creating, and those of others through my creative coaching, I have discovered there are two main ways we create. When I was a child I remember these enameled butterflies being all over her little flat (apartment to those over you over the pond). On every mirror, windows, picture frame and fridge (…may be this is where my obsession with butterflies comes from?). I don’t know if that was truly how it was or if it just how I remember it, but I always associate these soft little pretty colourful girlie things with an austere, proper, Edwardian woman who I loved but no one in their right mind would have ever called a ‘softie’. PS If you're not having an awesomely creative weekend hop on over to Journal Workshops. Hope you're having a fabulous creative weekend, if not here's some kick-starters for you. The last three days I've posted a video a day so here they all are together, enjoy. Hope you’re having a gloriously creative weekend so far. 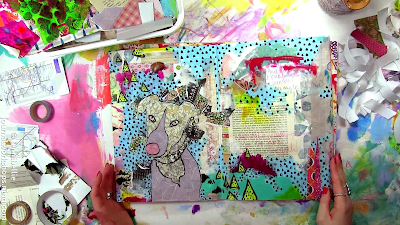 I have a new video tutorial for you today, all about the EDGES of your journal pages. These are the sketchbooks I use: http://amzn.to/2rFFgjZ. The glues I use are double sided sticky tape, Glue Stick (my fav http://amzn.to/2ol28TQ) and Tacky Glue (Aleenes Original being my preference http://amzn.to/2oJmnxv). PS Are you part of my free art community Journal Workshops yet?? 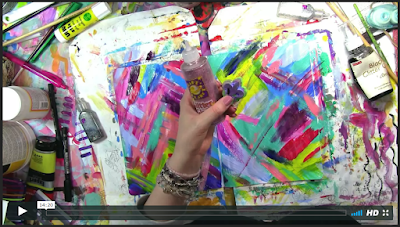 If not get your buns over there and signed up for free weekly and monthly art activities, all of my current online workshops *plus* a free art journaling class. Hi I'm Jenny, otherwise known as Jennibellie; a mixed media artist, art journaler, campaigner of eco-friendly creativity and so glad you're here! 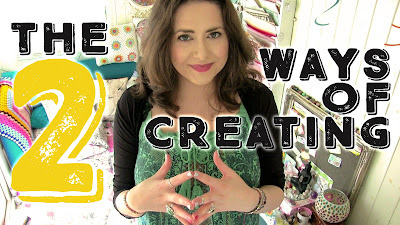 Please stick around & browse merrily through my artsy, craftsy world! 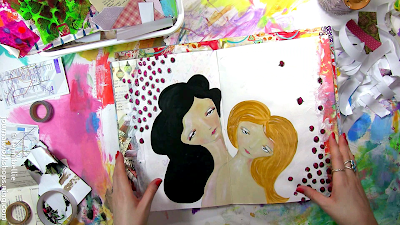 Find out what is really going on in my journal pages! My New Kit OUT NOW! My Biggest & Best Class Yet! Learn to Journal The Raw Real You! My Free Artist Community - SO MUCH HAPPENING! IT'S AWESOME... PROMISE! Photos, text and artwork are property of Jennibellie, please do not use without permission. Powered by Blogger.